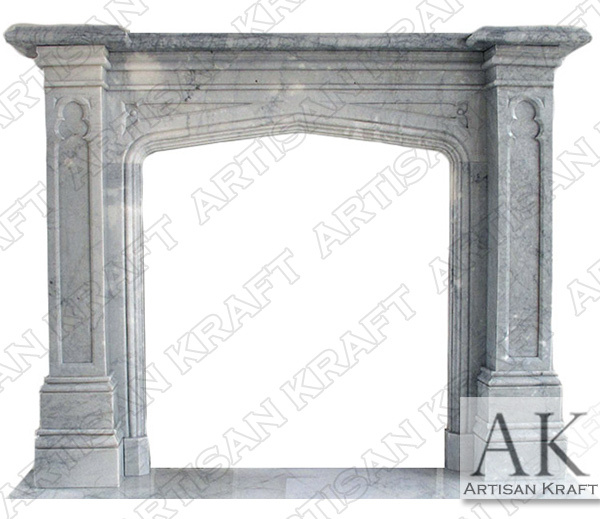 Marble is the first choice when it comes to fireplaces. 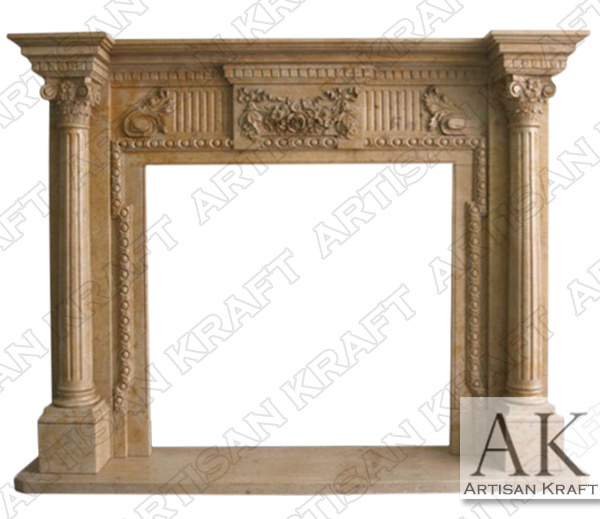 French used marble to make an array of beautifully designed surround facings. 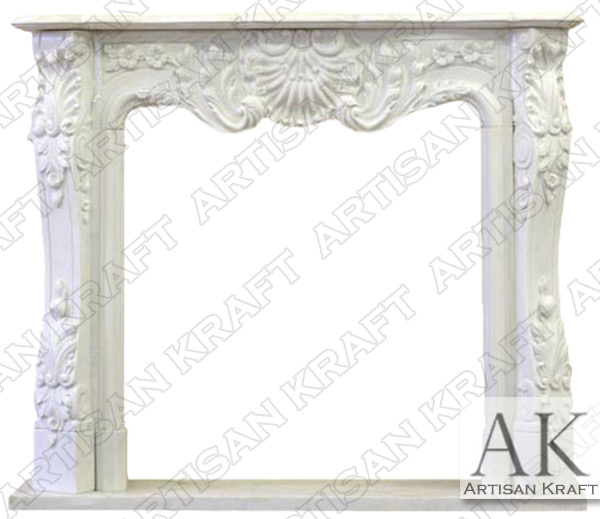 Artisan Kraft replicates many of those historic designs. 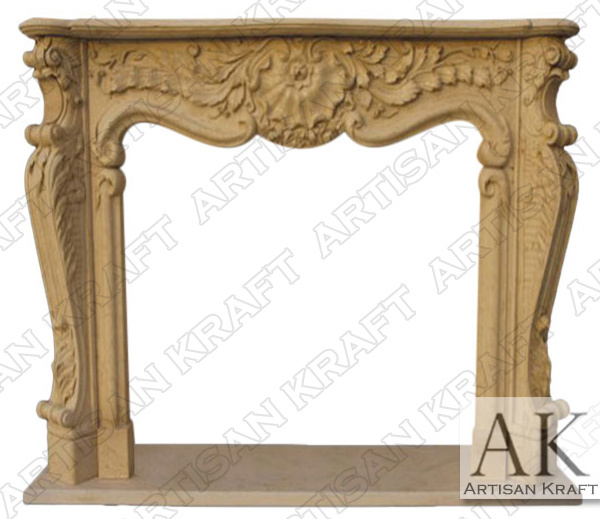 Italy has made some of the most recognizable mantel surrounds. Columns that flank the sides of the shelf. 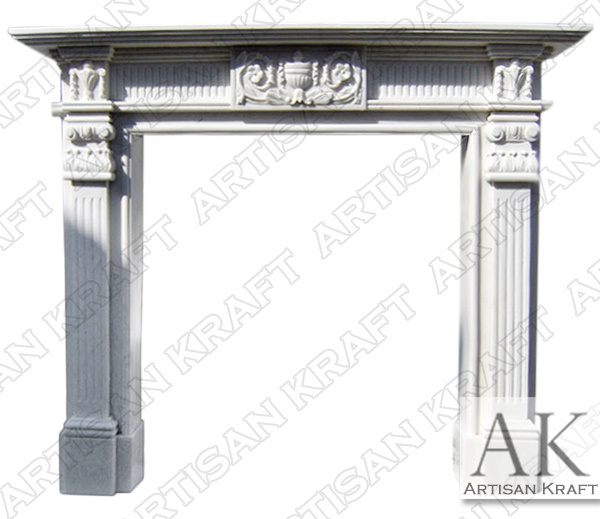 Columns are a common choice for Italian and Mediterranean inspired designs. Leaves carved into the corbels, shelf and pediment. 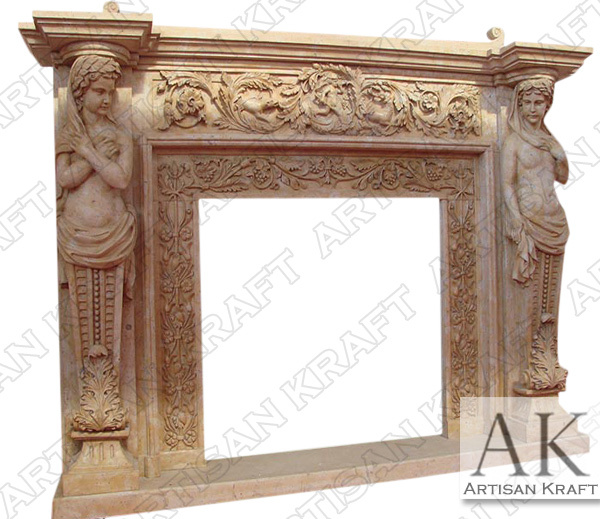 Traditional designs that have become stapes of modern designs all date back to Roman Times. 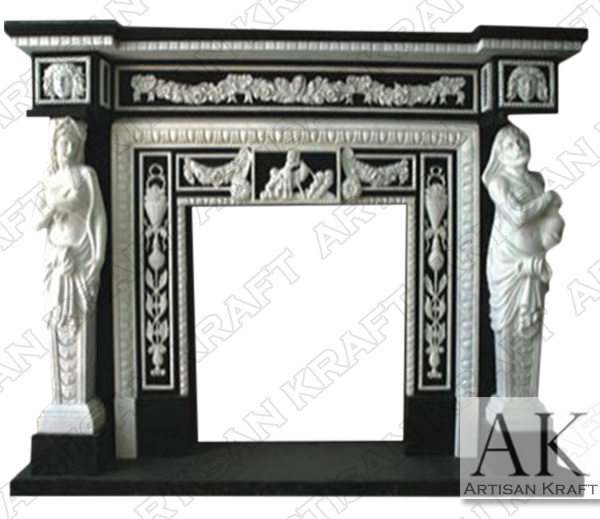 You can find replicas of these historic and antique fireplaces as well. 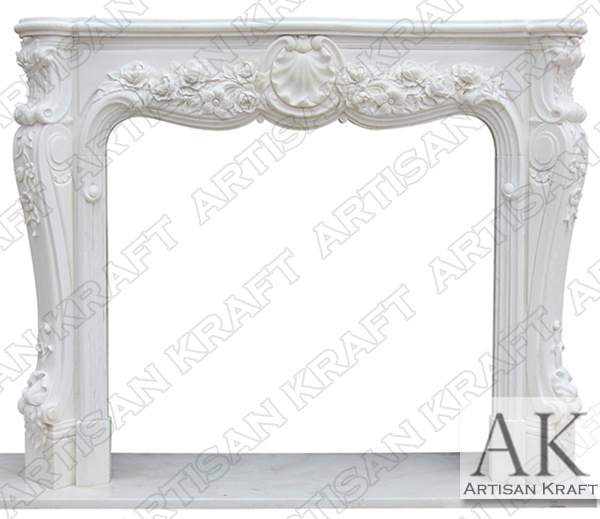 Modern marble fireplace mantels can be found on our sale page. 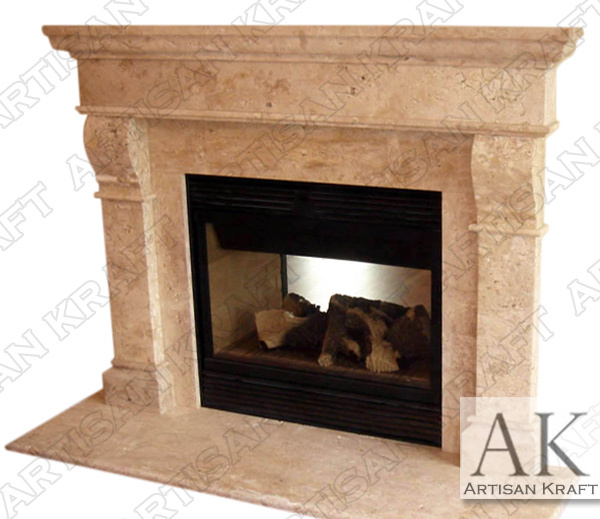 We have updated our stock of Modern Fireplaces to offer many more choices for you. The contemporary style surrounds have been trending. Visit our Chicago showroom to view range hoods, surrounds and bathtubs. We also have a Los Angeles office location. 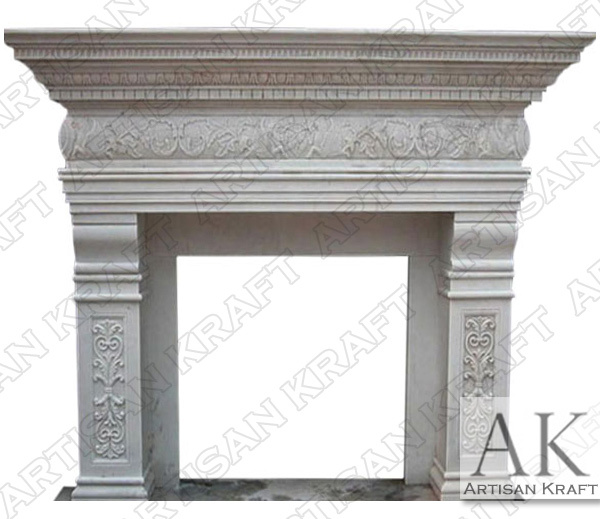 With these locations we are able to service the globe with our fine architectural products. 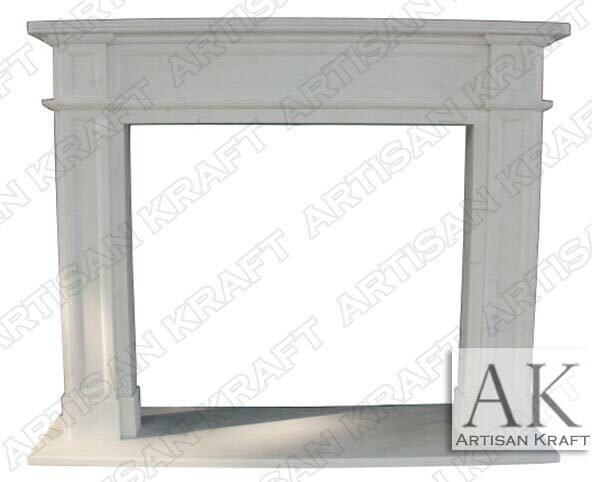 Design the exterior of the surround with a Fire Screen and Fireplace Tools. You can find these items and many more here at Artisan Kraft online.